15 Collingwood is always full of beautiful, timeless, striking pieces of furniture from leading designers across Europe. These are mainly items hand-picked by Rocco, who has a particular fondness for mid-century Scandinavian design. Our stock is constantly being added to and refreshed, so pop in today to see what we have at the moment. 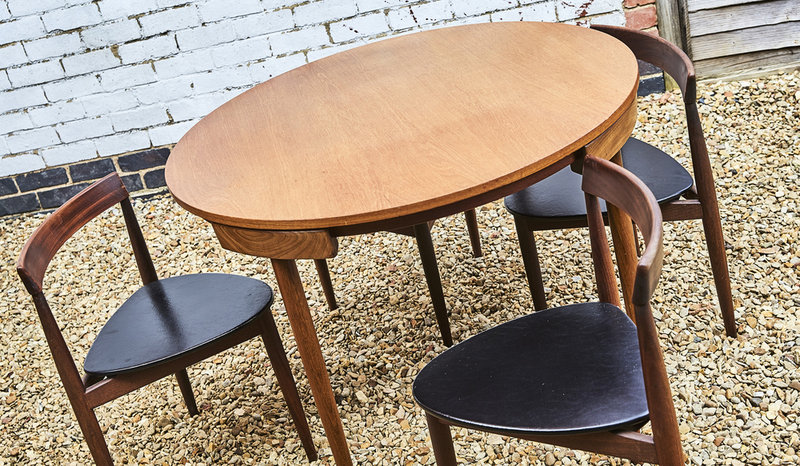 You’ll always find a good selection of mid-20th century design classics mixed with industrial and reproduction furniture - sideboards, dressing tables, coffee and side tables, dining tables and chairs, sofas, armchairs, desks and shelving. If you’re lucky you might even find something by Charles and Ray Eames, or the iconic sixties classic Greaves and Thomas Revolving Egg Chair. 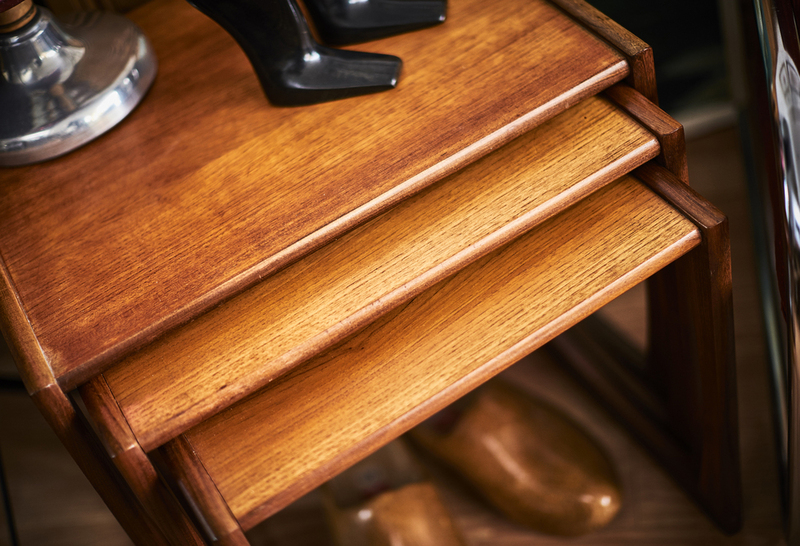 We occasionally have bedroom furniture including headboards, bedside tables and wardrobes, as well as kitchen furniture and cabinets. 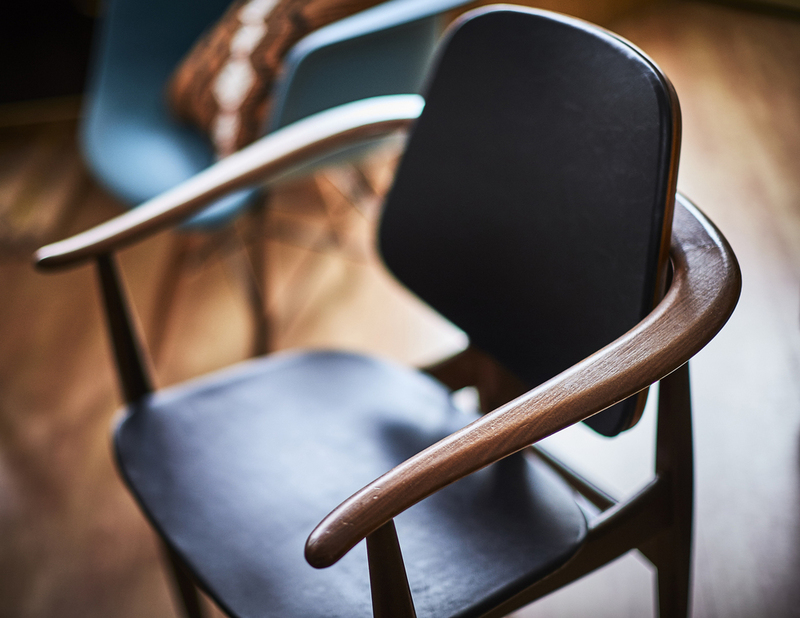 We always stock a varying range of designers including Ladderax, Ercol, Habitat, Ernest Race, Gordon Russell, A Younger, Nathan, Greaves and Thomas, Marcel Breuer, Guy Rogers, Arne Hovmand Olsen, G-Plan, Kofod Larsen, and Charles and Ray Eames.